Discover the variety of attractions that Madrid has to offer at Casa de Campo in this blog! 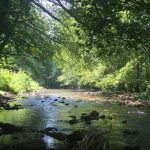 The Casa de Campo is often referred to as the “lung of Madrid”, this spacious forested park covers 17,000 hectares and counts among its attractions an amusement park, a zoo, a cable car, an outdoor swimming pool and, usually, a huge ornamental pond. Unfortunately, this was emptied in December 2017, receiving press attention, for much-needed refurbishment (December 2017-August 2018). Come August this ornamental lake will re-open to the public and will include a “beach” area, a new wharf and a viewpoint from which to admire the lake and sculptured landscape that surrounds it. 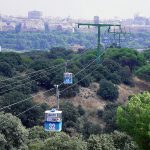 One of the author’s favourite days out with kids in Madrid begins with a one-way ticket on the cable car from Paseo Pintor Rosales; a 20 minute stroll through the slightly barren, less landscaped, untouched area of the park towards the zoo; a few fun hours in the zoo, followed by a bus trip back into the city centre on the nº 33 to Principe Pio. But there are many other family friendly options available (see below), with the park having 11 official entrances around its circumference, 8 Metro stations on three lines (Lines 5, 6 & 10) and 11 bus routes passing through or nearby. Taking a ride on this gondola lift offers a bird’s eye view of the city and the park itself. Dubbed “the best panoramic view of Madrid” by those who run this attraction, it certainly is a fun way to get to the park. Up to six people per cable car are whisked out of the heart of the city and into its lung on an 11 minute long, 2.5km ride, 40m up in the sky. At the destination, you will find a playground and viewing area with telescopes to spot both famous landmarks along the city skyline and the fauna and flora of the park itself. There is also a family-friendly restaurant with spacious terrace bar to enjoy a drink at without venturing further into the park, as well as an indoor ball park for active kids to run around in. The round trip costs 6 euros for adults and 5 euros for children aged 4 to 12 (under 4’s travel for free). One way tickets are available, as mentioned in the introduction to this article, at a cost of 4.50 euros (adults) or 4 euros (children). Tickets can only be bought from the ticket office on the day so expect queues. Although only usually open on the weekends it is wise to check running times before visiting as sometimes the services runs during the week coinciding with local bank holidays, school holidays, festivals or other special occasions. 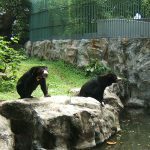 In the heart of the Casa de Campo is Madrid’s zoo and it is, quite simply, stunning. The installations are pristine, the high standards of animal welfare are obvious, the signage makes it easy to find what you are looking for and most of the staff speak English. Within walking distance of Casa de Campo metro station (line 5) and with a bus stop at the very entrance (bus route nº 33), there is no need to drive there as parking space is scarce. With ticket prices so variable it is always best to buy on-line, I think it is fair to say that the amusement park in the Casa de Campo continues to have its ups and downs. One of the plus points is that it has its own Metro station – Batan – making it easily accessible by public transport. It also has a great range of food stalls offering child-friendly snacks such as waffles and nachos; lots of shade; plenty of water fountains and unobtrusive music. 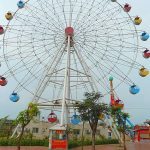 However many of the rides are not suitable for children under 100cm, with the exception of Nickelodeon with its kiddies rides and themed attractions. Expect queues everywhere in this amusement park which sometimes seems too small for the number of visitors it has on any one day. The Casa de Campo is very popular with cyclists and has several routes for differing abilities. 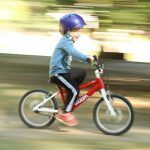 If you are visiting Madrid with your children the best option is to contact Mi Bike Rio (info@mibikerio.com) and book the bikes you require, in order to avoid disappointment. They offer bike trailers for up to 2 children and child seats as well as English and/ or French speaking tour guides for those who wish. For adults with older children, another option isseveral routesThese booster bikes can be picked up at Paseo de la Florida (stop 161 on BiciMAD’s map) and in order to reach Casa de Campo simply follow the Ruta Verde cycle path from Principe Pio through to the park. 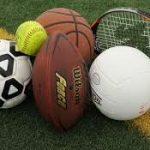 The park’s sports installations are mainly grouped around the Lago area of the grounds, where the park’s only information point is also located. Unfortunately, the indoor pool and tennis courts are currently under refurbishment. Although Casa de Campo also counts among its leisure facilities an outdoor swimming pool at the same location, this has very much become a pool where teenagers, young adults and couples choose to spend their hot summer days. While families are welcome, of course, it is definitely a pool where prejudices are left at the doorstep. Couples with young children tend to opt for the outdoor pool in the trendy, centric neighbourhood of Chamberi. There are many children’s play areas dotted around this immense park, most of which are found close to the entrances. 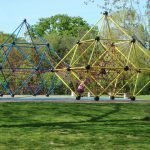 Our favourites include the huge pirate boat climbing frame close to Lago Metro station, surrounded by a playground which include swings, a zipline and sand pits. Another pirate boat accompanied by a castle climbing frame can be found at the other side of the park, at the Puerta de Rodajos entrance. Finally, sources in the Spanish press talk excitedly about the re-launch of the beautiful Paseo de la Gastronomía where our younger selves used to take romantic strolls in the late Nineties. Once the location for some of Madrid’s most exclusive eateries, a combination of major road works, the economic crisis and bad management led to the area being taken over by squatters and the mafia at the turn of the century. Kids in Madrid hope the regeneration plan will come off, thus ensuring that the whole of the Casa de Campo becomes, once again, safe for couples, families and tourists alike. In the meantime, we recommend the sophisticated and gentile La Manzana at the Rodajas entrance to the park which, handily, is also close to a huge playground for little ones. 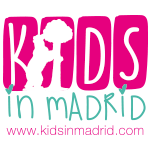 For more activities for families and kids in Madrid check out our blog.